Read Sunrisers Hyderabad vs Chennai Super Kings qualifier 1 today match prediction and find out which team might win the game. Read today match prediction for Kings XI Punjab vs Royal Challengers Bangalore and find out which team might win today’s match. Read today match prediction for Royal Challengers Bangalore vs Chennai Super Kings and find out which team might win today’s match. Read today match prediction for Rajasthan Royals vs Mumbai Indians and find out which team might win today’s match. Read today match prediction for Sunrisers Hyderabad vs Chennai Super Kings and find out which team might win today’s match. Read today match prediction for Kolkata Knight Riders vs Kings XI Punjab and find out which team might win today’s match. Read today match prediction for Chennai Super Kings vs Rajasthan Royals and find out which team might win today’s match. 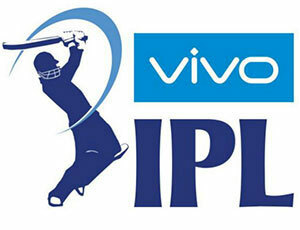 Read today match prediction for Kings XI Punjab vs Sunrisers Hyderabad and find out which team might win today’s match. IPL 2016 or IPL schedule for 2016 is here available at ASTROCAMP. Stay updated with IPL score with IPL online timetable for 2016. The IPL online table is easy to access.